flesh. So enriched she winds her way from India into Bangladesh and finally out to the ocean. In Patna where my father was born the water runs thick and grey-brown, the ghats crowded with people mourning and celebrating and praying from the depths of their souls. Patna’s sacred history has been obscured by generations of corruption and poverty; it is the capital of Bihar, known still as one of the “backward states” of India–least developed, least forward-thinking, least wealthy, least stable. Like the river, Patna lives in paradox. Find my current sermons on the UU Ellsworth website–go to the home page at uuellsworth.org and look in the sidebar for “minister’s blog and sermons”. Emma’s Revolution played here on Friday. They are fun, they are opinionated, they are activists, they are articulate, they are Pat Humphries and Sandy O, singing songs of personal transformation and social change for a better world. If you are not familiar with their music, you’re missing out. I’ve known and loved Pat’s music for years, and I think Sandy brings great energy to the show. Well worth the time–their music sticks in your head…in the good way. I celebrate them. We say we want to be welcoming. I hope that is true. But you have to find us. 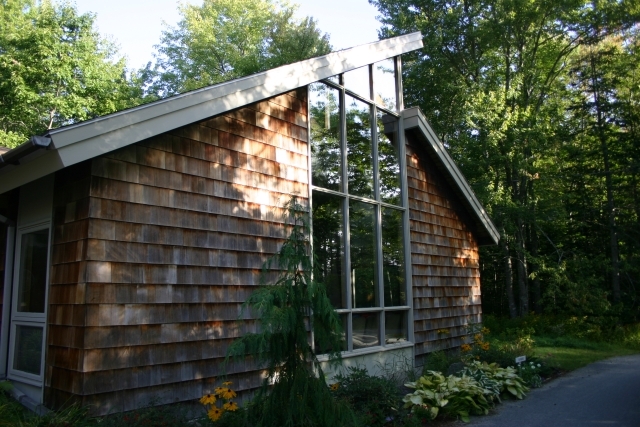 Unitarian Universalist Church of Ellsworth 121 Bucksport Rd. 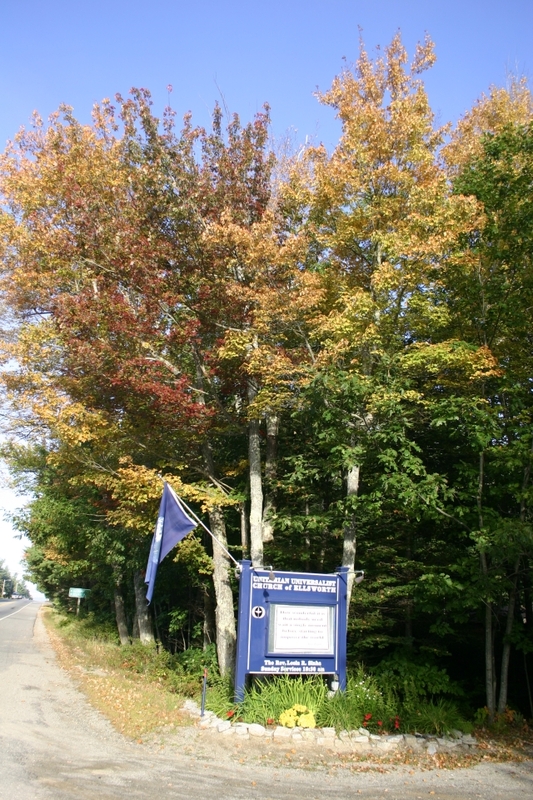 Ellsworth, Maine. Beautiful foliage and architecture. Strong community. Active in Ellsworth since 1835. As the UUA says, room for different beliefs: yours. We’re getting ourselves started this year, new sign lettering is up, new faces, new organization. We have improved our sound system. The sun is high, the sky is glorious clear blue, and we are getting ready to rock. …and to laugh and love and play and worship together.